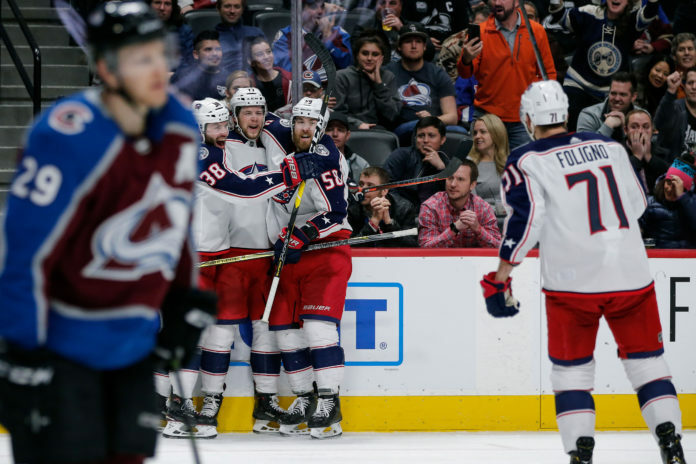 Unable to break out of this horrendous slump, the Avalanche surrendered three consecutive goals in the third period on their way to another disappointing loss, this time to the Columbus Blue Jackets by a score of 6-3. Philipp Grubauer actually looked good in this game. At times. But when the Avs needed him the most, he couldn’t make a save, which has been the case for both Avs goalies since the start of December. The fourth goal squeezed through Grubauer’s five-hole after a tough rebound, and he just missed the fifth one. 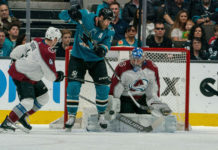 Neither one of the Avs goaltenders has provided any sort of stability in net and I’m not sure how much longer Joe Sakic can be patient. The Avalanche power play was awful, and has become entirely too predictable. Down 5-3 with less than 10 minutes remaining, neither power play unit was able to put a shot on net. That says all you need to know. If Alexander Kerfoot wanted to prove his rookie season was not a fluke, he is failing. He has just 8 points in his last 25 games. It once looked like he was going to get a pretty nice payday this summer, but now that is far from guaranteed. The Avs managed to get all three of their goals from defensemen. Does that say more about the way the coaching staff seems have the team attacking these days? As nice as it is to get goals from your blue line, funneling the puck back to the defense for shots isn’t the best long term success plan. Ian Cole can’t help if he’s in the box. Cole was known for taking a lot of penalties before he signed in Colorado, and that sure has been he case of late. In his last 8 games, he’s taken 8 minor penalties. It’s hard to help the penalty kill when you’re the one in the box. 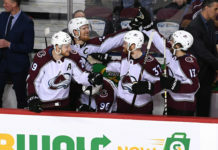 The Avs now head out on the road to take on the defending Cup champion Washington Capitals on Thursday. The game starts at 5 PM MST.